Watts the Deal on Lumens? Buying a light bulb used to be a no-brainer. Now it's a brain teaser; the transition to more energy-efficient lighting means choosing from a dazzling array of products. We've long identified bulbs by their wattage, but that is actually a measure of electricity, not the brightness of a bulb. The amount of light a bulb generates is measured in lumens. An incandescent 60-watt bulb, for example, gives off 800 lumens of light. And LED bulbs, which are more energy efficient than their incandescent counterparts, can deliver the same amount of light using as little as 10 watts. 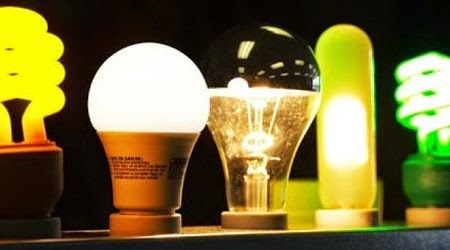 The Environmental Protection Agency says that if every household replaced just one incandescent bulb with an "Energy Star"-rated LED or CFL (compact fluorescent), Americans would save close to $700 million per year in energy costs.